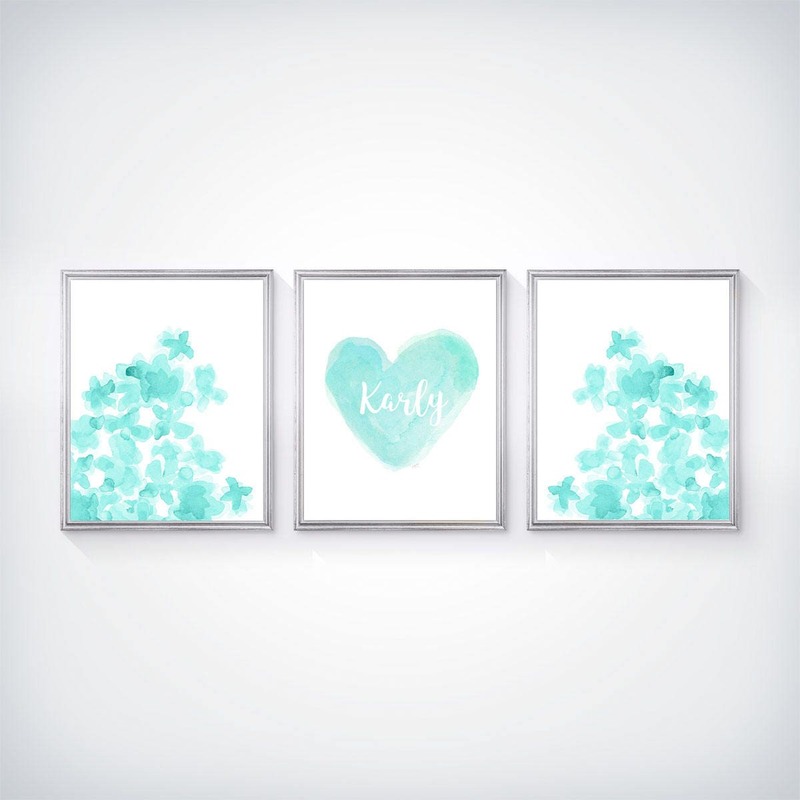 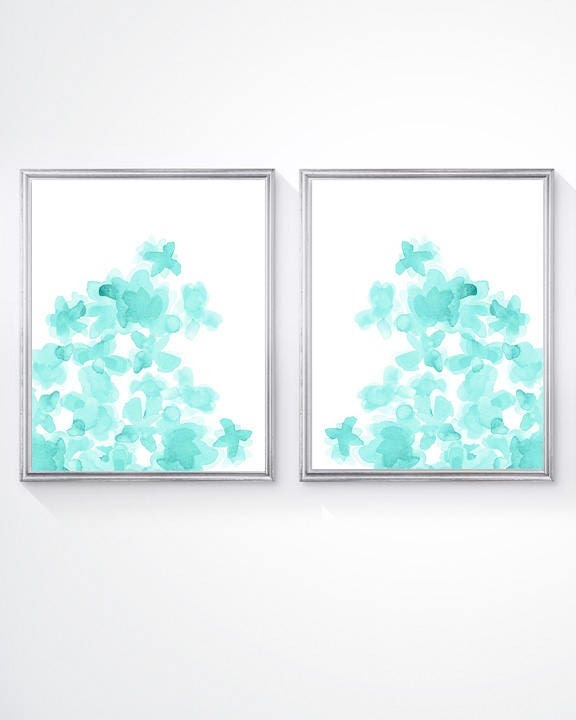 Sweet bundles of sea foam and aqua tinted flowers reaching for the sky are centered by a pretty personalized heart print. 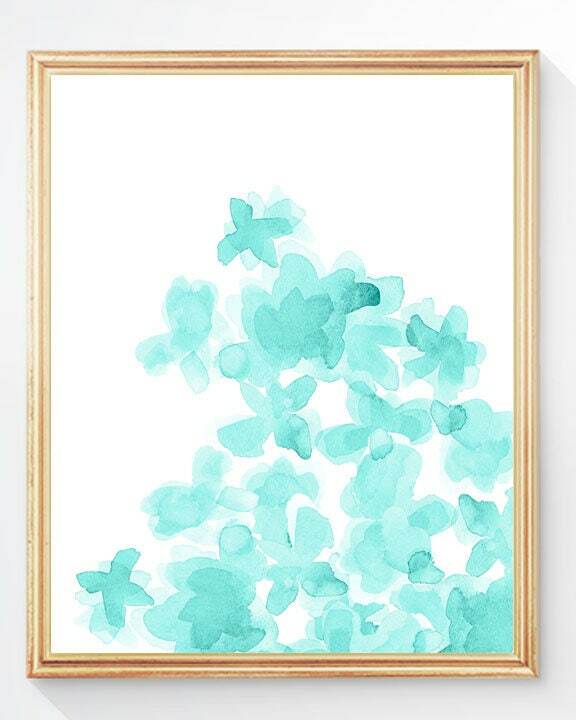 Each recreated from my original watercolor paintings. 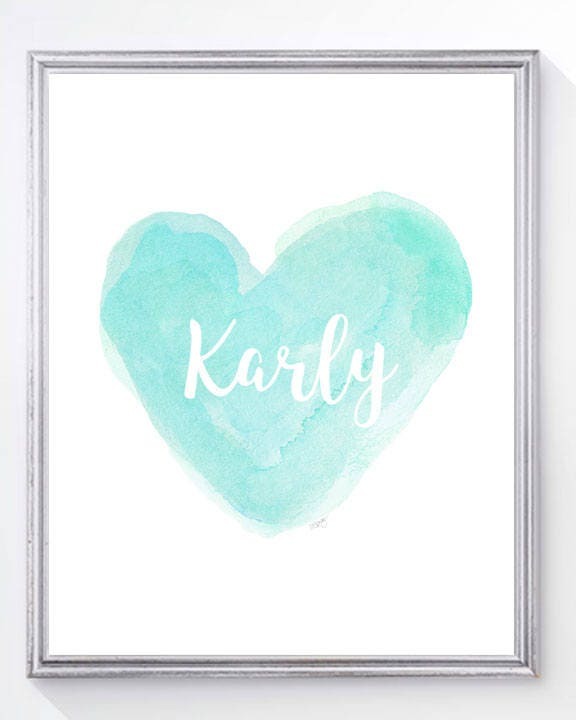 Available as a set of 2, 3, or individually.